The Gun Barrel Quilters Guild is located in Mabank, Texas. The purpose of this organization is to preserve the heritage of quilting, to assist members in developing a high quality of exellence in quilting, to be a source of information and inspiration, and to provide a gathering of people of a common interest. 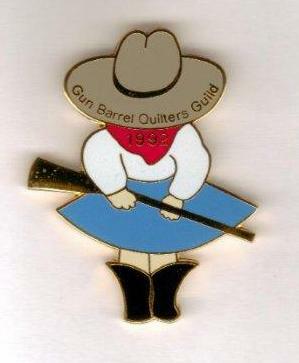 The Gun Barrel Quilters Guild is organized exclusively for charitable, religious, educational, scientific purposes, including, for such purposes, the making of distributions to organizations that qualify as exempt organizations under section 501(C)(3) of the Internal Revenue Code, or corresponding section of any future federal tax code. The Gun Barrel Quilters Guild supports local charities such as CASA, Special Olympics, Genesis Women's Shelter, Family Resource Center, Animal Shelter, Library, and Fire Department. "We Shoot for Straight Stitches"
The Gun Barrel Quilters Guild is a member of TAQG (Texas Association of Quilt Guilds) . 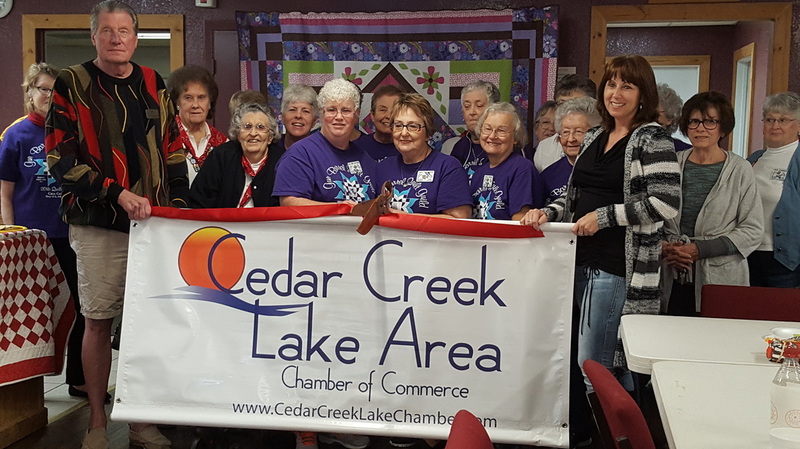 The Gun Barrel Quilters Guild is a member of Cedar Creek Lake Area Chamber of Commerce.